The most prominent features of new Opera browser include news on Speed Dial page and Update and Recovery page. Let’s talk a bit about these features and then head to Opera 54 offline installer download links. 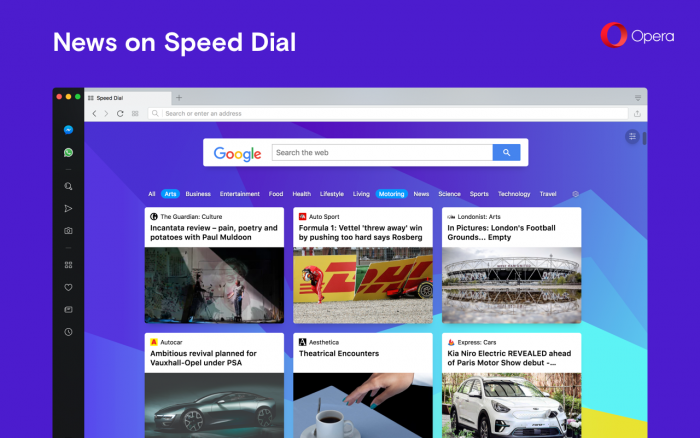 Opera 54 arrives to the stable build today with News on Speed Dial, a feature which delivers the latest headlines from the countries and languages of your choice, directly to your browser’s start page. Plus, a new menu page, called Update and Recovery, has been added to help simplify the browser update and recovery processes. You can see the current version number of your browser under Update. Click the Check for update button in this menu to have Opera scan for a new version of the browser. If a new version is available, an Update button will appear. From time to time, Opera may slow down because it is cluttered with too much browsing data. Also, you may have unknowingly changed some settings, which can affect your browsing experience. Resetting your browser may help you fix these issues. In the past, users had to perform a number of tasks to retain and restore preferences before a browser reset. 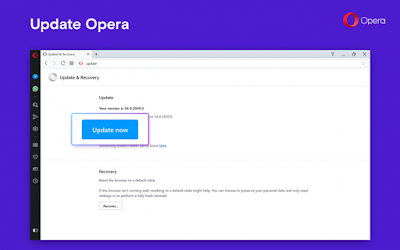 With a single click of a button, you can start Opera anew while keeping the important stuff. 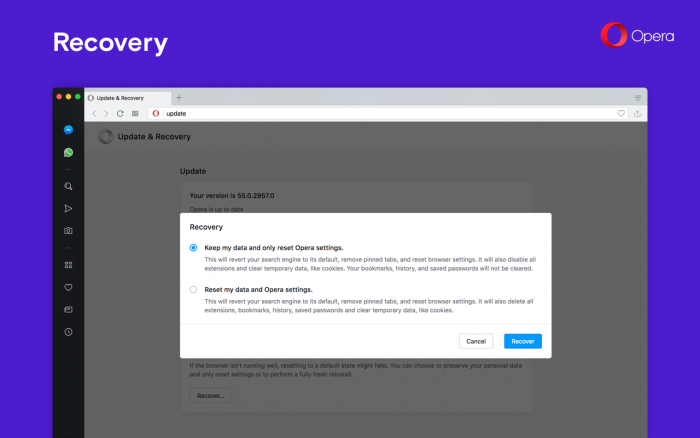 Keep my data and only reset Opera settings – This will change your search engines to their default (most likely Google), remove pinned tabs, disable extensions and clear temporary data such as cookies. Your bookmarks, history and saved passwords will not be cleared. 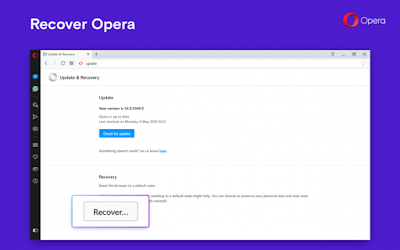 Reset all your data and Opera settings – Both the settings in Opera and your browsing data will be reset and cleared, giving you a completely clean Opera.